Here is a list of a few tips and techniques that can help engineering students in their quest for success in this field. 1. Make sure to include humanities and design classes in your studies. These classes will help you in the engineering field because you will learn how to understand as well as represent your ideas in new manners, by improving writing skills, vocabulary, and learning to present ideas in multiple formats. 2. It is crucial to attend your classes and not skip a class for something that isn't of huge major importance. In some general ed. classes this can be ok, but in your engineering classes missing too many will leave you lost and confused, even if you get the notes. You need to be there to absorb the information yourself to understand it best, so try to miss as little as possible. 3. Learn the value of teamwork, and immerse yourself into any organization, group, or even hobby that you would enjoy. Learning to work well and communicate with others is a highly important characteristic in your future career and life. 4. Don't be afraid to go to your professors for help when you don't understand something, or working with a tutor. Sometimes people let their pride get in the way of getting help in a class or a theory that they don't understand. A lot of theories build upon one another and it's crucial to understand some before you can comprehend the others. It's not worth struggling and pretending to understand when the time comes when you need to apply these theories and it't too late to ask for help. 5. Apply for an internship if you have the time, or at least work alongside one of your professors, etc. Try to get as much experience as you can before entering the job market. Use your free time wisely and try to make part of your breaks/summer productive. 6. Develop of portfolio of your work, projects, designs, etc. This will give you an edge in the job market having hands on experience and the documentation for it. It shows future employers that you are a goal oriented person, and also that you already understand and have worked with some concepts already. 7. Learning to how to network is very important as well in this field. Get to know your professors, peers, and other people in this field as much and as early as you can before you start your journey in the job search. This way you have resources for help, advice, and references. 8. Try to balance work and play to make sure you keep your passion for the subject and don't burn yourself out. Engineering is a touch field, but it is also a rewarding one. Learn to balance your time, integrate yourself the ways you need professionally and academically, but give yourself time to relax and have fun in the process. 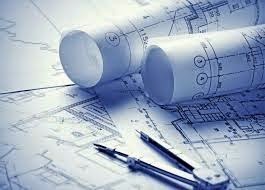 Visit our site www.draftingsteals.com when in need of low cost engineering and drafting supplies! It's perfect for for students, recent graduates, as well as professionals.